Baking with pride since 1984. Since 1984. Family owned. Made with traditional sourdough starter, this load has a deep, tangy taste and aroma. 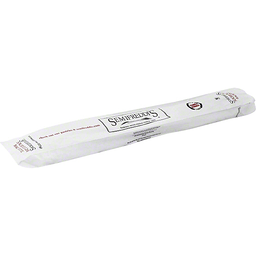 Its batard shape makes it ideal for sandwiches, toast and dinner bread. Kids and old folks enjoy the soft crust. Semifreddis sourdough starter is wheat flour, water, and wild yeast. (Wild yeast? Hey - its the Bay Area!) World headquarters - the bay area is our world. Retail shop 372 Colusa Ave. Kensington. (510) 596-9935. We hope you enjoy all of our breads and pastries that are delivered fresh seven days a week! Barbara Rose, her husband Michael Rose and her brother Tom Frainier, Owners, Yes, we are related and still speak to each other every day. Well, almost every day! 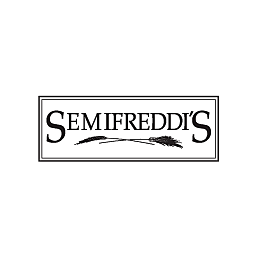 semifreddis.com. Recyclable. Biodegradable. With a touch of honey, olive oil & sea salt. New. 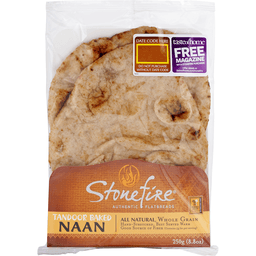 Per 1 Slice Serving: 100 calories; 0 g sat fat (0% DV); 180 mg sodium (8% DV); 3 g total sugars. No high fructose corn syrup. No artificial flavors or colors. 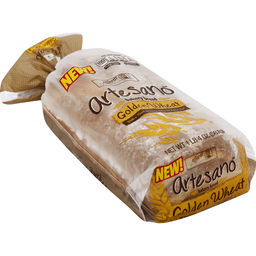 Alfaro's presents Artesano Golden Wheat bakery bread - a soft wheat bread with a rich, wholesome flavor the entire family will love! It's baked with olive oil, sea salt and honey - a combination so delicious, you'll want to eat it with every meal! Get creative and use it for delicious French toast, grilled cheese, warm paninis, and more. www.SaraLeeBread.com. Our bakery products retain their best quality if stored at room temperature. For best results, please use by date on package. We are committed to providing you with quality products and welcome your questions and comments. Call 1-800-984-0989, Consumer Relations Department. When writing, please include the Proof-of-Purchase (Bar Code) and stamped date code. 70 calories. 3 g protein. 3 g fiber. 340 mg omega-3. 12 g whole grains. Whole Grain: 12 g or more per serving. Eat 48 g or more of whole grains daily. WholeGrainsCouncil.org. USDA Organic. Always USDA Organic. Certified Organic by Quality Assurance International. Non GMO Project verified. nongmoproject.org. Always Non-GMO. Stand behind. Second chances. Everyone is capable of greatness. Dave's Killer Bread has witnessed first-hand how stable employment sparks transformation in people with criminal backgrounds. Pledge your support and motivate more companies to harness the power of Second Chance Employment. www.daveskillerbread.com. Learn More at: daveskillerbread.com. Questions or Comments? daveskillerbread.com/contact. Spread the Love! Just refuse to eat any other kind of bread. Period. Brenda R. We couldn't have said it better ourselves, Brenda. Join BreadHead Nation to share your love of DKB and get first dibs on DKB news, new products and cool stuff! 15 years in prison. That's a tough way to find yourself. Dave Dahl realized he was in the wrong game and knew he had more to offer. His brother, Glenn, saw a change in him and gave Dave a second chance by welcoming him back to the family bakery. Dave set out to make a loaf like no other - the most nutritious, organic whole grain bread - and the result is what he called killer bread. Dave's Killer Bread is built on the belief that everyone is capable of greatness. What began as one man's journey has turned into so much more. Today, one third of our employees at our Oregon bakery has a criminal background, and we have witnessed first-hand how stable employment sparks personal transformation. Made for greatness. Always made with killer taste and texture. Facebook. Twitter. YouTube. Instagram. No high fructose corn syrup. No artificial preservatives. No artificial ingredients. 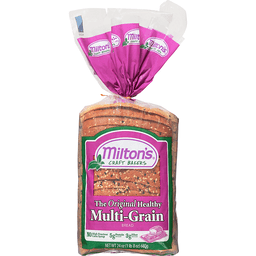 Always power-packed with whole grains. Please recycle or reuse this bag. 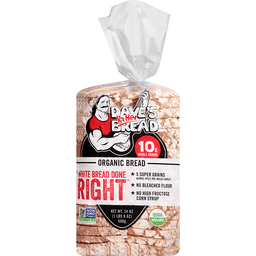 Dave's Killer Bread® Organic White Bread Done Right®. 10g Whole Grains. 5 Super Grains: Quinoa, Spelt, Rye, Millet, Barley. No Bleached Flour. No High Fructose Corn Syrup. USDA Organic. Non GMO Project Verified. nongmoproject.org. Stand behind second chances: Everyone is capable of greatness. Dave's Killer Bread has witnessed first-hand how stable employment sparks transformation in people with criminal backgrounds. Pledge your support and motivate more companies to harness the power of second chance employment. Spread the love! "Just refuse to eat any other kind of bread. Period." - Brenda R. We couldn't have said it better ourselves. Brenda. Join Breadhead Nation to share your love of DKB and get first dibs on DKB news, new products, and cool stuff! We're bringing back white bread. 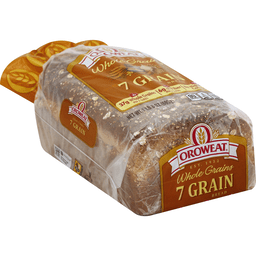 Our take on white bread is an artisan loaf with five super grains, 10 grams of whole grains and no artificial anything. Made For Greatness™. No high fructose corn syrup. No artificial preservatives. No artificial ingredients. Always power-packed with whole grains. Always USDA organic. Always non-GMO. Always made with killer taste and texture. Certified organic Quality Assurance International. Certified organic by quality assurance international. Whole grains, 10g or more per serving, wholegrainscouncil.org. Eat 48g or more of whole grains daily. Please recycle or reuse this bag. 15 years in prison. That's a tough way to find yourself. Dave Dahl realized he was in the wrong game and knew he had more to offer. His brother, Glenn, saw a change in him and gave Dave a second chance by welcoming him back to the family bakery. 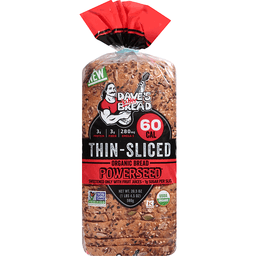 Dave set out to make a loaf like no other - the most nutritious, organic whole grain bread - and the result is what he called "killer" bread. Dave's Killer Bread is built on the belief that everyone is capable of greatness. What began as one man's journey has turned into so much more. Today, one third of our employees at our Oregon bakery has a criminal background, and we have witnessed first-hand how stable employment sparks personal transformation. Learn more at: daveskillerbread.com. Questions or comments daveskillerbread.com. daveskillerbread.com/contact. 2 g protein. 2 g fiber. 50 mg omega-3. 70 cal. Non GMO Project verified. nongmoproject.org. USDA organic. New. After spending 15 years in prison, Dave Dahl found an opportunity to reinvent himself in the most unlikely of places: the family bakery. Dave set out to bake the best-tasting, most nutritious organic bread, period. What began as one man's journey has turned into so much more. At Dave's Killer Bread, we relentlessly strive to make a difference in everything we do - for our customers, our employees and our community. Read the whole story at Daveskillerbread.com. Satisfaction guaranteed. Period. Tell us what you think! Facebook/Daveskillerbread. Twitter At Killerbreadman. Daveskillerbread.com. You don't have to sacrifice taste and nutrition when watching calories. 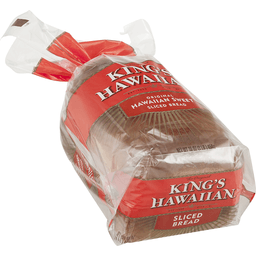 100% Whole Wheat Thin-Sliced is our seedless bread with a touch of sweetness and only 70 calories per slice. Contains: no animal products; no artificial preservatives; no artificial ingredients; no high fructose corn syrup. Is Always: USDA certified organic; non-GMO Project verified; power-packed with whole grain nutrition; made with killer taste and texture. Baked boldly. Certified organic. Certified organic by Quality Assurance International. Whole Grain: 16 g or more per serving. Eat 48 g or more of whole grains daily. WholeGrainsCouncil.org. Please recycle or reuse this bag. 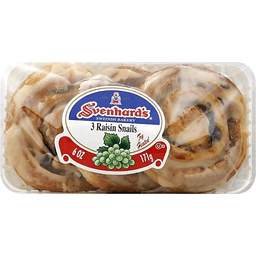 Sweetened only with fruit juices - 1 g sugar per slice. 3 g protein. 3 g fiber. 280 mg omega-3. 60 cal. Non GMO Project verified. nongmoproject.org. USDA organic. New. After spending 15 years in prison, Dave Dahl found an opportunity to reinvent himself in the most unlikely of places: the family bakery. Dave set out to bake the best-tasting, most nutritious organic bread, period. What's began as one man's journey has turned into so much more. At Dave's Killer Bread, we relentlessly strive to make a difference in everything we do - for our customers, our employees and our community. Read the whole story at DavesKillerBread.com. Satisfaction guaranteed. Period. Tell us what you think! Facebook/DavesKillerBread. Twitter at KillerBreadMan. DavesKillerBread.com. You don't have to sacrifice taste and nutrition when watching calories. Sweetened only with organic fruit juices, Powerseed Thin-Sliced has 60 calories and 1 g of sugar per slice. Contains: only fruit juice sweeteners; only 1 g of sugar per slice; no artificial ingredients; no animal products. Is Always: USDA organic; non-GMO project verified; power-packed with whole grain nutrition; made with killer taste and texture. Baked boldly. Certified Organic: Quality Assurance International. Certified organic by Quality Assurance International. Whole Grain: 12 g or more per serving. Eat 48 g or more of whole grains daily. WholeGrainsCouncil.org. 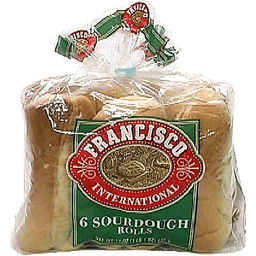 We bake Francisco Sourdough Breads and Rolls to have just the right tangy sourdough taste. That's why Francisco Sourdough Breads and Rolls are a delicious way to get the benefits of bread, according to the USDA Food Guide Pyramid. The USDA Food guide Pyramid recommends 6-11 servings of bread, cereal, rice, or pasta daily. Bread provides your body with complex carbohydrates, an important source of energy, and forms the foundation of low-fat, healthful eating. 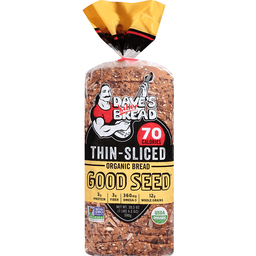 Dave's Killer Bread® Organic Good Seed®. 5g protein. 4g fiber. 660mg omega-3. 14g whole grains. Non GMO project. Verified. nongmoproject.org. USDA Organic. Stand behind second chances. Everyone is capable of greatness. Dave's killer bread has witnessed first-hand how stable employment sparks transformation in people with criminal backgrounds. Pledge your support and motivate more companies to harness the power of second chance employment. daveskillerbread.com. Spread the love! "Just refuse to eat any other kind of bread. Period." - Brenda R. We couldn't have said it better ourselves, Brenda. Join BreadHead Nation to share your love of DKB and get first dibs on DKB news, new products, and cool stuff! 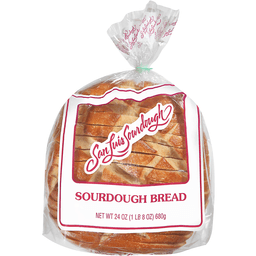 Heavenly texture and saintly flavor... Good Seed® is the boldest and sweetest of our breads. Made for greatness™. No high fructose corn syrup. No artificial preservatives. No artificial ingredients. Always power-packed with whole grains. Always USDA organic. Always non-GMO. Always made with killer taste and texture. Quality Assurance International. Certified organic. Certified organic by Quality Assurance International. Whole Grain™, 14g or more per serving. Eat 48g or more of whole grains daily. wholegrainscouuncil.org. Please recycle or reuse this bag. Questions or comments daveskillerbread.com/contact. 15 years in prison. That's a tough way to find yourself. Dave Dahl realized he was in the wrong game and knew he had more to offer. His brother, Glenn, saw a change in him and gave Dave a second chance by welcoming him back to the family bakery. Dave set out to make a loaf like no other - the most nutritious, organic whole grain bread - and the result is what he called "killer" bread. Dave's Killer Bread is built on the belief that everyone is capable of greatness. What began as one man's journey has turned into so much more. Today, one third of our employees at our oregon bakery has a criminal background, and we have witnessed first-hand how stable employment sparks personal transformation. Learn more at: daveskillerbread.com. 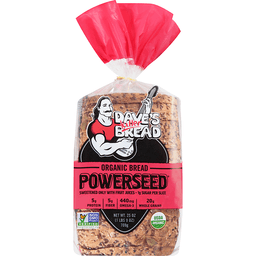 Dave's Killer Bread® Organic Powerseed®. Sweetened only with fruit juices - 1g sugar per slice. 5g protein. 5g fiber. 440mg omega-3. 20g whole grains. Non GMO project. Verified. nongmoproject.org. USDA Organic. Stand behind second chances: Everyone is capable of greatness. Dave's Killer Bread has witnessed first-hand how stable employment sparks transformation in people with criminal backgrounds. Pledge your support and motivate more companies to harness the power of second chance employment. daveskillerbread.com. Spread the love! "Just refuse to eat any other kind of bread. Period." - Brenda R. We couldn't have said it better ourselves, Brenda. Join BreadHead Nation to share your love of DKB and get first dibs on DKB news, new products, and cool stuff! Sweetened only with organic fruit juices, Powerseed® is lightly sweet and power-packed with fiber, protein and whole grain nutrition. Made for Greatness™. No high fructose corn syrup. No artificial preservatives. No artificial ingredients. Always power-packed with whole grains. Always USDA organic. Always non-GMO. Always made with killer taste and texture. Quality Assurance International. Certified organic. Certified organic by Quality Assurance International. 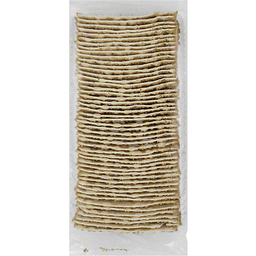 Whole Grain™, 20g or more per serving. Eat 48g or more of whole grains daily. wholegrainscouncil.org. LDPE. Please recycle or reuse this bag. Questions or comments daveskillerbread.com/contact. 15 years in prison. That's a tough way to find yourself. Dave Dahl realized he was in the wrong game and knew he had more to offer. His brother, Glenn, saw a change in him and gave Dave a second chance by welcoming him back to the family bakery. 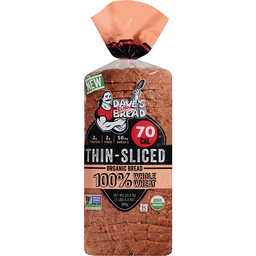 Dave set out to make a loaf like no other - the most nutritious, organic whole grain bread - and the result is what he called "killer" bread. Dave's Killer Bread is built on the belief that everyone is capable of greatness. What began as one man's journey has turned into so much more. Today, one third of our employees at our oregon bakery has a criminal background, and we have witnessed first-hand how stable employment sparks personal transformation. Learn more at: daveskillerbread.com. USDA organic. Non GMO Project verified. nongmoproject.org. GloryBee. Save the bee. 4 g protein. 3 g fiber. 180 mg omega-3. 24 g whole grains. Stand Behind Second Chances: Everyone is capable of greatness. Dave's Killer Bread has witnessed first-hand how stable employment sparks transformation in people with criminal backgrounds. Pledge your support and motivate more companies to harness the power of Second Chance Employment. daveskillerbread.com. Spread the love! Facebook. Twitter. YouTube. Instagram. Just refuse to eat any other kind of bread. Period. - Brenda R. We couldn't have said it better ourselves, Brenda. Join BreadHead Nation to share your love of DKB and get first dills on DKB news, new products, and cool stuff! 15 years in prison. That's a tough way to find yourself. Dave Dahl realized he was in the wrong game and knew he had more to offer. His brother, Glenn, saw a change in him and gave Dave a second chance by welcoming him back to the family bakery. Dave set out to make a loaf like no other - the most nutritious, organic whole grain bread - and the result is what he called killer bread. Dave's Killer Bread is built on the belief that everyone is capable of greatness. What began as one man's journey has turned into so much more. Today, one third of our employees at our Oregon bakery has a criminal background, and we have witnessed first-hand how stable employment sparks personal transformation. Learn more at: daveskillerbread.com. 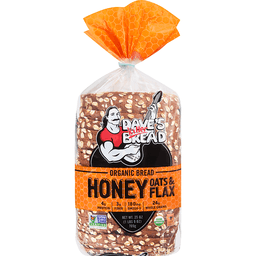 With the sweetness of honey and a light, soft texture, Honey Oats & Flax packs 24 g of whole grains per slice. Even sweeter? We're helping save the honey bee. Learn more at: daveskillerbread.com/savethebee. Made for greatness. No high fructose corn syrup. No artificial preservatives. No artificial ingredients. Always power-packed with whole grains. Always USDA organic. Always Non-GMO. Always made with killer taste and texture. Certified organic by Quality Assurance International. Whole Grain: 24 g or more per serving. Eat 48 g or more of whole grains daily. WholeGrainsCouncil.org. Please recycle or reuse this bag. Snacking simplified. 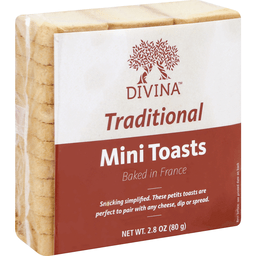 These petits toast are perfect to pair with any cheese, dip or spread. 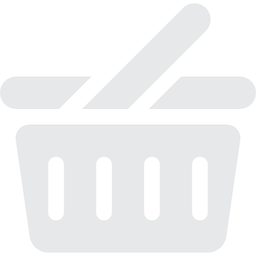 www.foodmatch. Baked in France. Product of France. With blue cornmeal crust. 5 g protein. 4 g fiber. 300 mg omega-3. Non GMO Project verified. nongmoproject.org. USDA organic. After spending 15 years in prison, Dave Dahl found an opportunity to reinvent himself in the most unlikely of places: the family bakery. 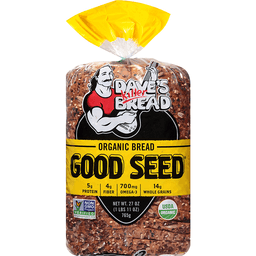 Dave set out to bake the best-tasting, most nutritious organic bread, period. What began as one man's journey has turned into so much more. At Dave's Killer bread, we relentlessly strive to make a difference in everything we do - for our customers, our employees and our community. Read the whole story at daveskillerbread.com. Satisfaction guaranteed. Period. Tell us what you think! Facebook/daveskillerbread. Twitter at killerbreadman. Daveskillerbread.com. 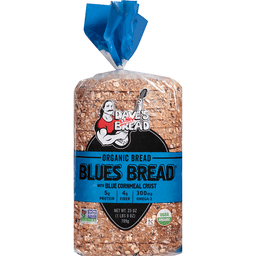 Inspired by Dave's love of blues music, Blues Bread is rolled in organic blue cornmeal, giving it a crunchy crust and sweet flavor. 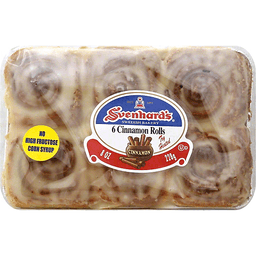 Contains: No animal products; No artificial preservatives; No artificial ingredients; No high fructose corn syrup. Is Always: USDA certified organic; Non-GMO Project verified; Power-packed with whole grain nutrition; Made with killer taste and texture. Baked boldly. Whole Grain: 13 g or more per serving. Eat 48 g or more of whole grains daily. WholeGrainsConucil.org. Quality Assurance International certified organic. Certified organic by Quality Assurance International. Please recycle or reuse this bag. Non GMO Project verified. nongmoproject.org. Bakes in 8-10 minutes. www.LaBreaBakery.com. Popular Italian-style bread with a soft crust and moist, light inner crumb. 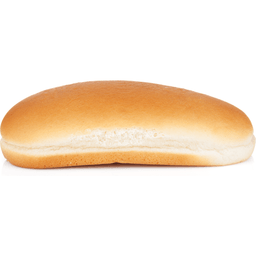 Perfect for sandwiches or as a table bread. Facebook/labreabakery. Twitter(at)labreabakery. Instagram(at)labreabakery. 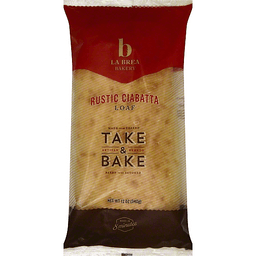 From starter to finish, it takes over 24 hours to make a loaf of La Brea Bakery bread. It isn't the easiest way, but with patience and care come deep and complex flavors. Our commitment to simple, high-quality ingredients, long proofing times, and our original starter hasn't changed since we baked our first loaf on La Brea Avenue back in 1989. Estd 1989.